We are so pleased to be able to present the new Woodbrooke website alongside the new branding and logo. You will find this website has many of the same features as the old website such as course listings, B&B bookings and conference facilities information, but under a new, simplified navigation. There is also a new and improved search function, which is accessible throughout the website by clicking the magnifying glass in the top right-hand corner. Give it a try. We are also pleased to present our new logo and branding which we hope will help better represent everything that Woodbrooke does onsite in Birmingham, but also in areas such as online learning and our work in meetings around Britain Yearly Meeting. Learning Resources – Nearly 100 free learning resources including lectures, podcasts and study packs will be available to everyone from today! Learning Blog – We will be launching this in the near future. Here you will be able to read posts and updates from Woodbrooke’s tutor team. Please explore our new website and try out some of the new functionality. What should I do if I’m find something which isn’t working correctly? We would like to apologise in advance if you find that an area of the website isn’t functioning as you would expect. 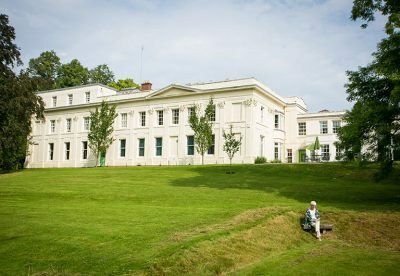 Please provide feedback to marketing@woodbrooke.org.uk, giving details of what has happened, the type of device you are using and the name of your browser.